Digital transformation technologies including artificial intelligence (AI), machine learning (ML) and blockchain are nascent technologies in the telecom sector, according to the findings of a survey conducted by IHS Markit. The telecom operators are in the initial stages of experimentation and learning, with some limited deployments, the report added. The AI and ML will be expected to have a major impact on the cloud services provided to customers and carrier network management and operations. 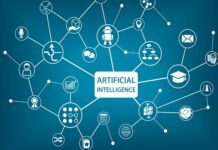 Nearly 68 per cent operators have started to investigate about AI and ML for their businesses, whereas around 56 per cent operators have started lab testing of these types of solutions, the survey found. On the other hand, nearly 24 per cent respondents reported that they already have around three to five targeted uses cases of such technologies in production deployment. However, the survey noted that operators are skeptical whether the AI and ML will be able to automate all the customer interactions and network operations. Around 44 per cent operators said they believe this will happen at some point. As per the survey results, the blockchain is even less understood by the telecom industry as compared to AI and ML, as most of the public discussions around this technology is on cryptocurrencies. Several executives in the telecom industry believe that blockchain, once it is ready and its value has been defined, could be used to keep data integrity and supporting peer-to-peer trust in call detail records (CDR). However, a few operators believe that blockchain is a strong candidate to simplify overall telecom business transactions. 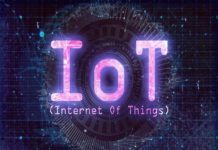 Next articleDo Customers Want IoT Solution?